Alifbata association which is based in Marseille, aims at developing intercultural projects towards children and young people in schools or social centres. It was founded in 2012, by Simona Gabrielli, an Italian pasionate about intercultural relations. The association covers all the subjects related to plural identities… For her, intercultural is above all « an approach », especially in the Mediterranean area, where syncretism is everywhere. 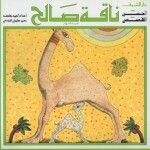 Alifbata means ABC in Arabic and cultural alphabet can be developped in every context. 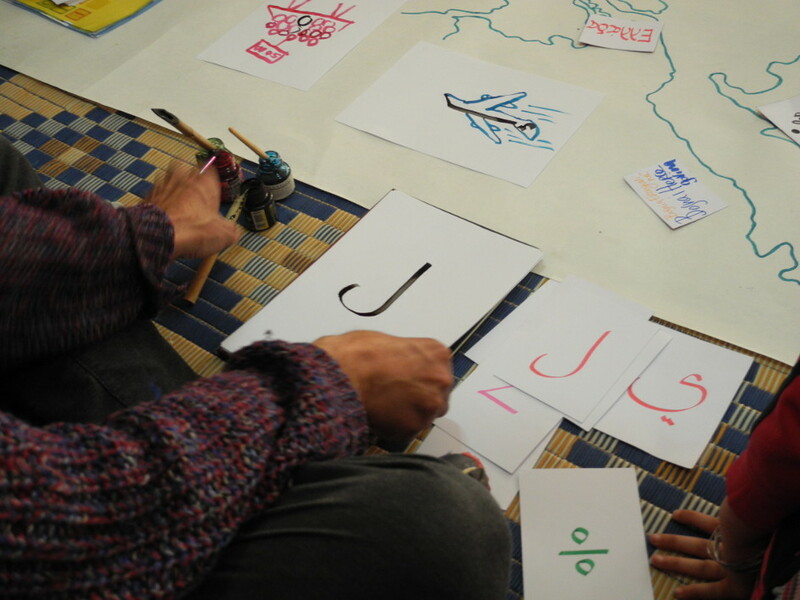 For instance, a gardening workshop is an opportunity to create murals with the word « garden », in different languages. Or a reading activity can lead to book creation. In this workshop, in collaboration with Mathilde Chèvre from « le port a jauni » association, children stories were collected. Then the stories were illustrated and gathered in a beautiful book. During the latest story telling festival in Oran, Simona Gabrieli, traveled with the children around the Mediterranean alphabets. The workshop’s result was a big multicoloured mural on the wall of Le Petit Lecteur association. The association offers other workshops on Joha’s character, with the educational support of « the new adventures of Joha in the Mediterranan » that Alifbata published in collaboration with « le petit lecteur d’Oran ». Simultaneously, Alifbata started in 2005 a publishing activity, with the translation into French of a Libanese comic book named « Laban and marmalade, or how my mother became Lebanese » from Lena Merhej. The publishing has been carried out in collaboration with the translator Marianne Babut. The work of Lena Merhej received two awards in Fibda of Alger. « Laban and marmalade »received the best comic book award in 2013. In the book, Lena tells the tale of her mother, German, who chosed to settle in Lebanon at the end of the 60’s. The author question her mother’s choices and the difficulties that she encountered as a foreign woman in Lebanon, especially during the civil war. To continue the line of the project, Alifbata whishes to make known the Arabic speaking comics, through translation and publishing. From Marroco to Syria, many young authors and illustrators reveal the world with strength and uniqueness. They cast a caustic view, with humour, on their modern societies. Whether comics or graphic novels, individual or collective work, Alifbata aims at introducing the artistic wealth of the creation and the testimonies on the modern societies. Share the post "Alifbata Association"